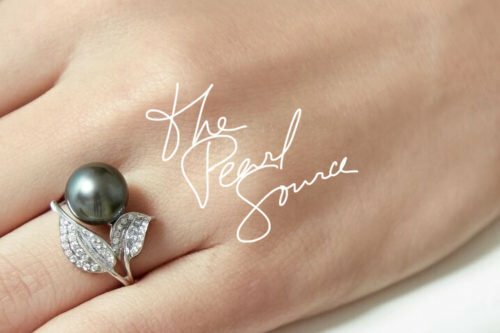 Pearl farming is the industry involved in grafting the pearl mollusks and producing the cultured pearls. Today, these cultured pearls contribute to about 100% of the total pearls sold. But, growing freshwater cultured pearls is a tedious, yet rewarding process. 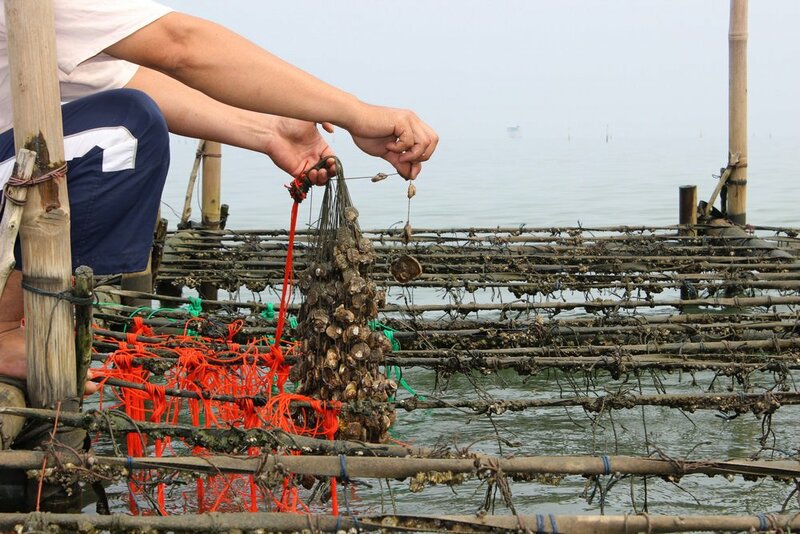 So, to optimize the gains, freshwater pearl farming is carried out during the autumn and spring months. That’s when the water temperatures and other external environmental conditions, like the weather, are calm. Freshwater pearls thrive in stable, peaceful and calm conditions. Step one in the pearl production process is obtaining oysters to be nucleated. The modern practice of breeding your own oysters requires the pearl farmer to collect oyster egg and sperm from pearl-producing oysters already present on the farm. The sperm is later used to fertilize the eggs, to form a new generation of the oyster larvae. The larvae are then allowed to float freely in the water, but under controlled conditions, until they’re a few weeks old. Over a few month’s period, the larvae develop into baby oysters. They are then moved into a separate nursery region on the pearl farm. Here they’re tended for around 1-2 years until they grow large to be nucleated. Nucleation process is a surgical procedure, in which a foreign object is implanted into the oyster. The object causes some irritation, which the oyster responds to by secreting nacre to cover the object. This mechanism produces the pearl. It generally occurs within about two years. When grafting a freshwater mussel, a piece of mantle tissue is placed inside an incision in a host mussel’s mantle rather than in the gonad. On average, a freshwater mussel will produce between 24-32 pearls within every culturing cycle. After the nucleating process is complete, the oysters are given a few weeks to heal from the surgery. 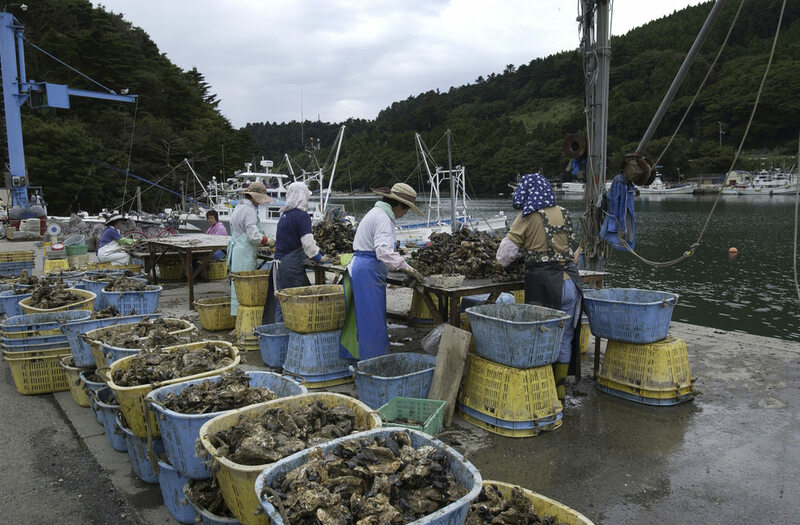 Then, the oysters are placed in nets or cages and moved into the oyster bed. There, they will be cared for by pearl farmers while the pearls develop. 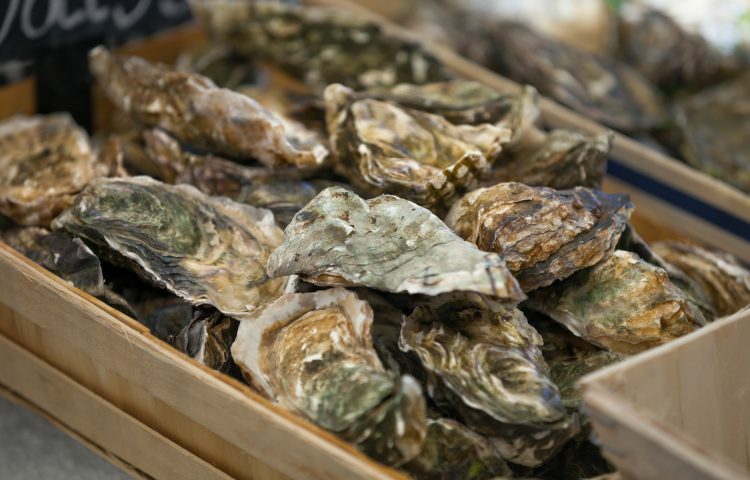 Based on the type of oyster, this process may take a few additional months or even several more years. After the pearls have fully developed (up to five years), they must be harvested. The pearls are removed from the oysters, washed, dried and sorted into various categories. Freshwater cultured pearls are then sold to pearl dealers, jewelers, and other manufacturers.